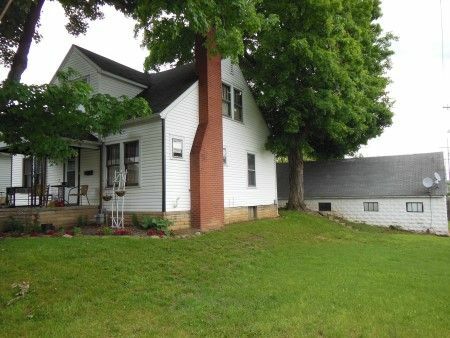 Being a 2 story vinyl sided & shingle roof home with detached block garage. 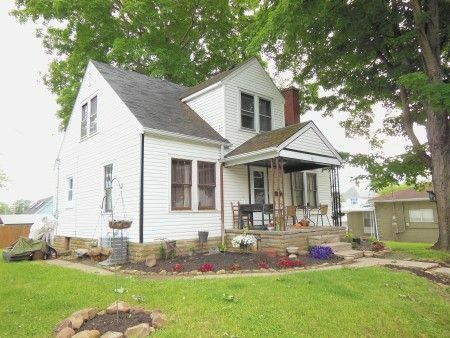 Home consists of living room with brick faced fireplace; dining room; kitchen; full bathroom with shower over tub; bonus room previously utilized as a 4th bedroom. Upstairs includes 3 bedrooms with storage closets; ½ bath and linen closet. Basement with indoor/outdoor access with block foundation, 100 AMP breaker box, Goodman High Efficiency gas furnace & Central A/C; gas hot water tank. Detached 3+ car block garage with concrete floor, mechanic’s grease pit, overhead door & opener. Real Estate Terms: $3,000 down at time of sale cash/check; offered free & clear prior to closing on/before Nov. 16, 2015; balance & possession at closing; no buyers’ contingencies exist; All information to be utilized only as a guide. Taxes & Legal: Net annual taxes $951.26; Ross Co. Auditor's Parcel ID No. 's are 305628051000 & 305628052000; Tina D. Hughes Estate, Stephen D. Hughes, Admn., RCPC Case No.2015-CA-001, Joseph E. Motes, Attorney.